Whoever can resist on any chocolate sweet?? 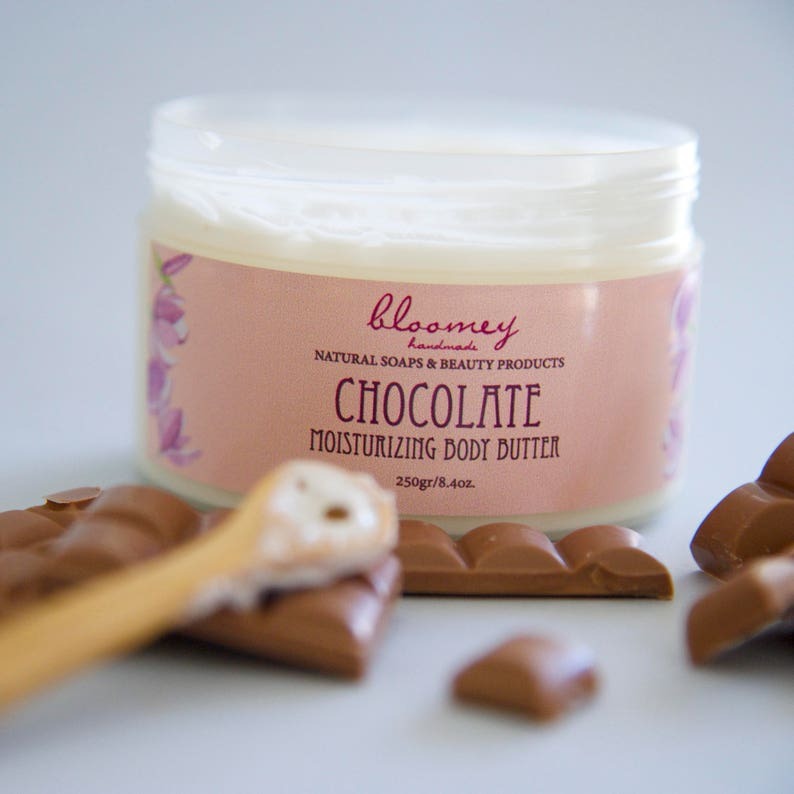 The Bloomey choco-scented hand-whipped body butter is here to stimulate your senses, fill you with freshness and give a velvet sense to your skin. 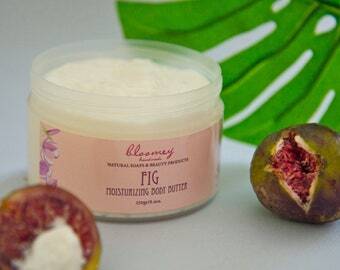 Pure and natural ingredients, all carefully selected, are blended in this skin loving and deeply moisturizing body butter. 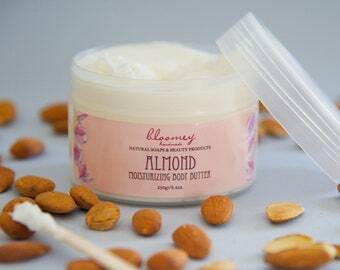 Natural glycerin and almond oil have emollient and nourishing properties, relieve from dryness and help in skin oiliness and elasticity regulation. Oat protein and vitamin E is a beneficial synergy that keeps the skin soothed and provides skin regeneration. 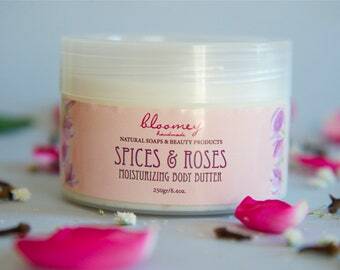 This body butter will be one of your skin care essentials due to its ability to hydrate the skin in depth and cover the needs of even sensitive and most dehydrated skin. 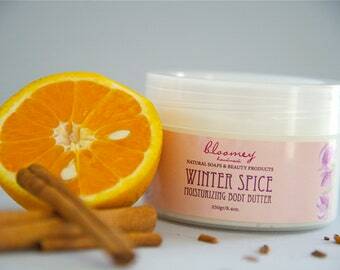 It’s easily absorbed, no sticky or greasy and just a small amount of the product is enough to soothe your skin. 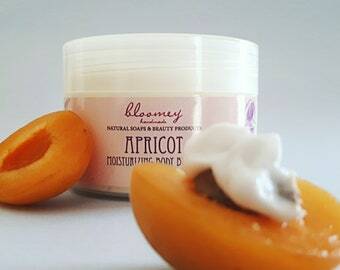 It keeps the skin moisturized and refreshed for long hours! Chocolate is an absolutely mouth drooling & delicious flavor that will surely thrill you!It will be a keeper for all choco-lovers! 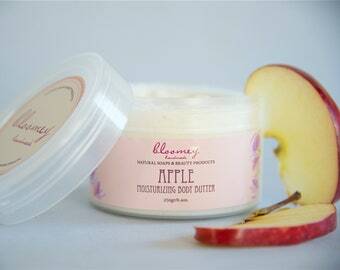 Each body butter is whipped by hand and packed in a jar of 250gr net weight, approximately 8,04 oz. ✻ Geogard natural preservative that is used is ECOCERT certified and keeps natural products fresh for approximately 10-12 months from production date. 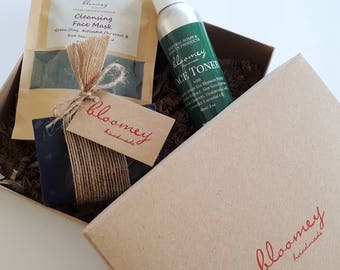 Each Bloomey body butter is put with love in a kraft eco-friendly packaging, ready to get shipped as a gift either to you or someone else. This product is made to order to keep its freshness and its ingredients intact. So, please allow 3 to 5 business days for production. ♥ We offer COMBINED SHIPPING: Save on shipping costs when buying more than one item at a time! The friend I will gifted to it is going to love it as an gourmand lover!! 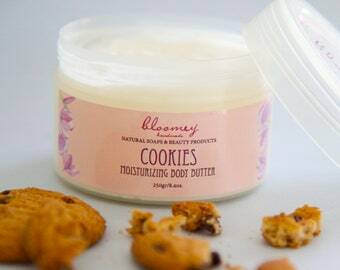 Great for my dry skin! 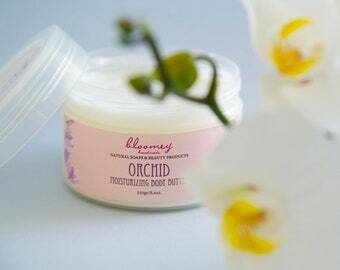 Soothing and deeply moisturizing.